"Respect all that nature gives us. 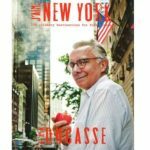 Our job is to show it as best as we can." 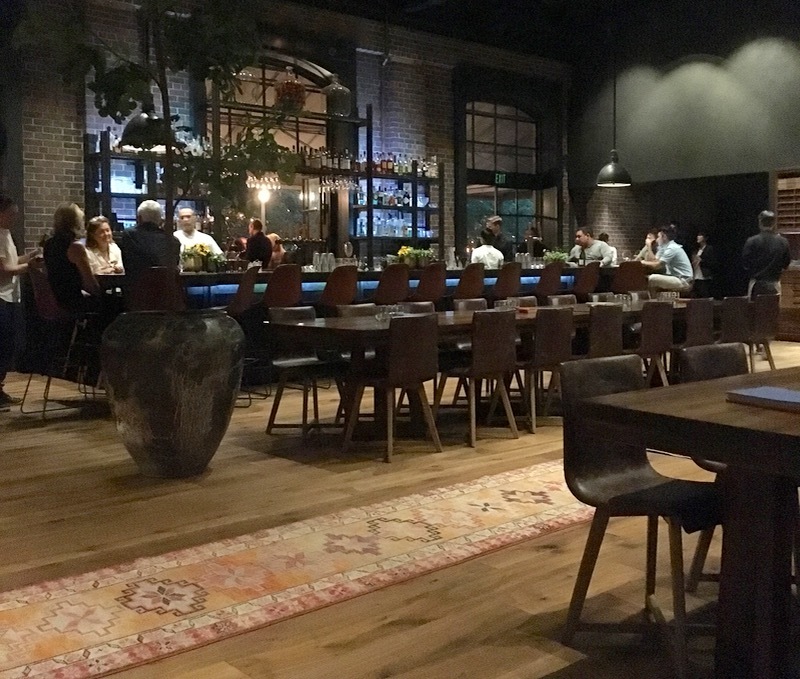 Charter Oak is overseen the Meadowood’s three Michelin star chef, yet the accent at his new, pared down restaurant is on the essence of the ingredients highlighted by hearth cooking and on dining conviviality. 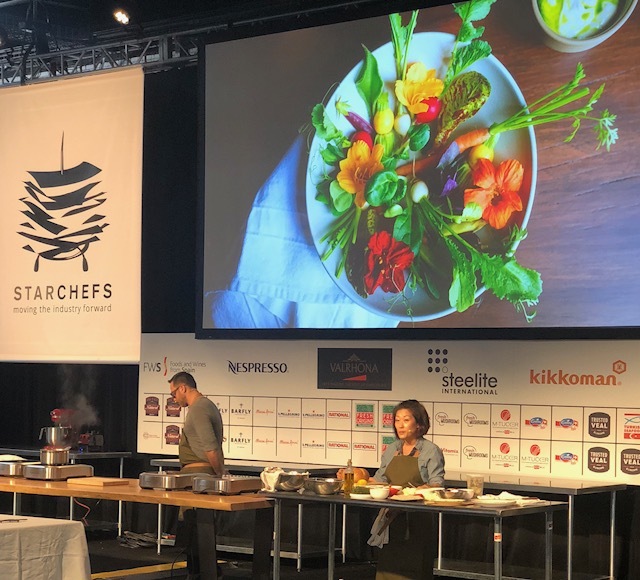 “This was the greatest challenge of my career”, announced the chef at the International Chefs Congress in Brooklyn recently. Adding that, “Cooking over roaring fire cannot be controlled as easily as in the modern three Michelin kitchen. Plus, you can hide more ingredient imperfections in complex cooking”. The inconsistency of the fire element must be embraced with openness Charter Oak, hence this is not three, two or one Michelin star restaurant. 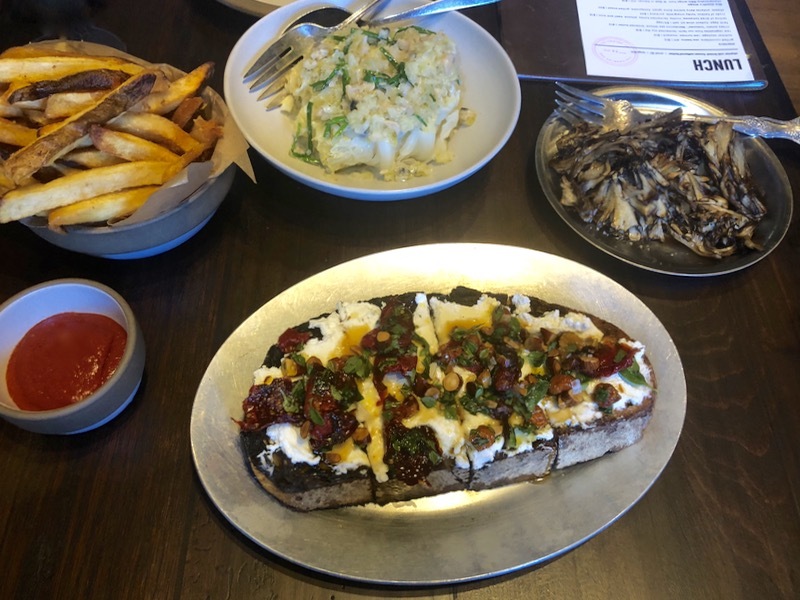 You cannot compare the hearth mastery with that of the Etxebarri master in Spain, but the Napa Valley ingredients are respected with bare-it-all honesty. The minimalist cooking is directed by skilled female hands of Katianna Hong (Korean roots). 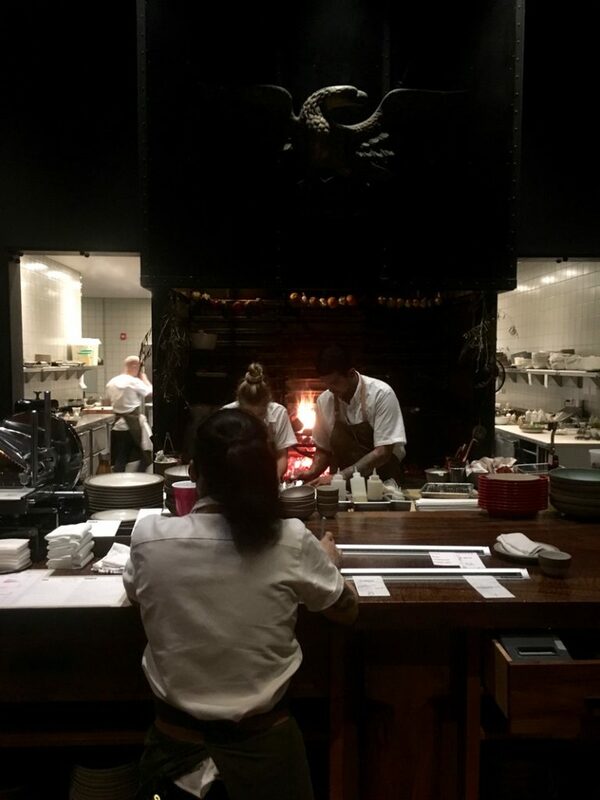 The former sous chef at the Restaurant at Meadowood befriends the hearth in stripped-down, abundance of local, seasonal, and sustainably-grown produce. The country levain baked at the Charter Oak is offered to fill you up before moving to the deserts at the three star Restaurant. The loaf is superb, moist with a crunchy crust, worth paying the extra 5 or 10$ for large as you rarely get this quality at your local US bakery unless you for to San Francisco’s Tartine. 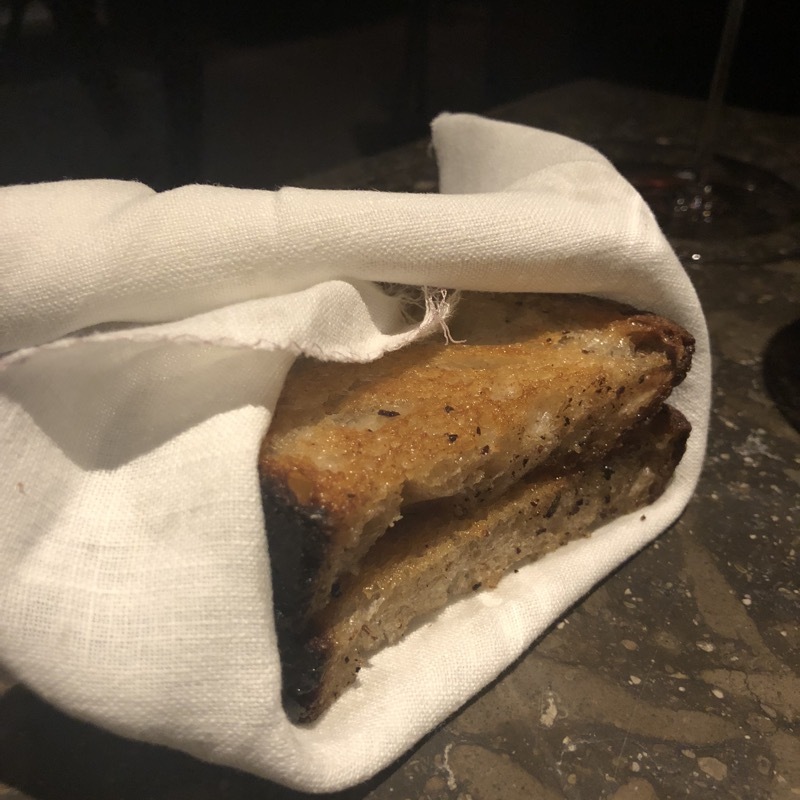 At the Charter Oak it can charred too much to my taste (lately it was blackened), served with house “cultured” butter, the bread was presented perfectly at the Meadowood. 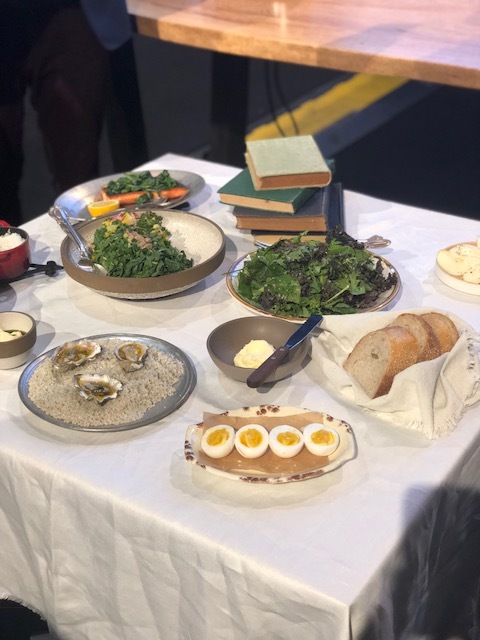 Local dairy like buffalo butter and mozzarella from Petalumba, browned butter, fermented soy whipped with crème frâiche, fresh cheese, herbed cream and buttermilk elevate most plates. Butter tops steamed white rice, spreads over the Pretzel bun sandwich with hearth-roasted ham and horseradish. Locally renown Andante dairy supplies cheese accompanied by honeycomb and grilled bread. 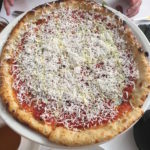 Most “Vegetables and Grains” on the menu incorporate cheese to fatten your palate for more vino or beer. 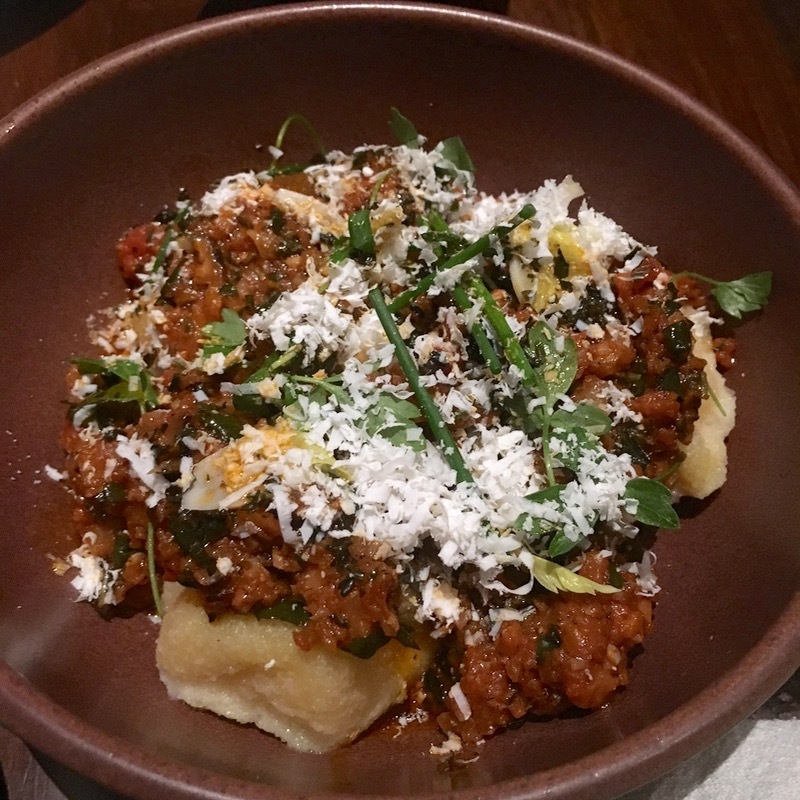 Like in the decadent POLENTA under vegetable bolognese sprinkled with fresh cheese that we enjoyed at brunch. The lunch and dinner menus are identical, but the weekend brunch introduces more breakfast-style, funked up bowls and plates like GRAPEFRUIT grilled over the fire with rosemary sugar, GRILLED TOAST with either tahini, honey or goat cheese, kumquat marmalade, APPLE PANCAKE with brown sugar, SUMMER SQUASH and cheese baked omelette, Soft SCRAMBLED EGG with avocado, furikake seaweed with Danish rye bread, BUTTERED ENGLISH MUFFINS jazzed up with crème frâiche, celery and spring onions. “The eggs taste different depending on the time of the year”, alerts Katianna Hong pointing at the natural seasonal variations. To show this, the simply boiled eggs are served with top quality local olive oil. Sparely anything garnishes the roasted plates at The Charter Oak. 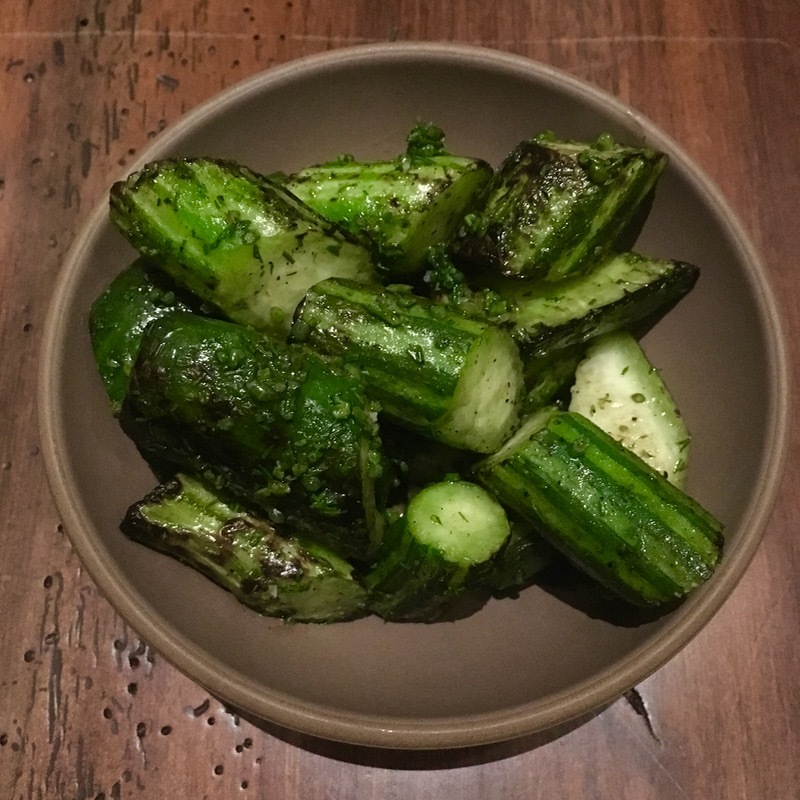 GRILLED yellow and green CUCUMBERS were simply matched with dill and sea beans. Sliced into biteable chunks we relished the well-oiled, toasted levain TARTINE, dressed with succulent sun-dried tomatoes, roasted crushed almonds and ricotta, sweetened with fermented honey from their farm’s bees, fresh basil and mint. American sizes would be a feast for an Asian family and one-plate-is-enough for most Europeans. Root-to-frond or a holistic use of plants is now popular on the US menus. 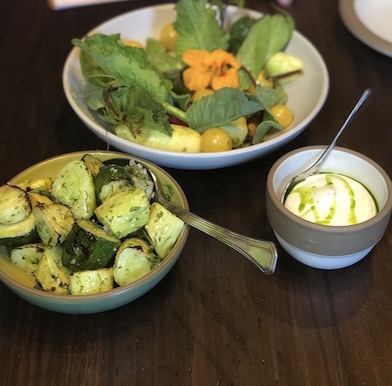 The FERMENTED SOY DIP paired with all edible parts of seasonal raw vegetables delivered fresh from Meadowood’s farm is so delicious that the recipe was featured in Dine & Wine. The sour, yet lighter than typical créme fraîche dip has its umami accentuated by a dash of house-infused chive oil. The hand-cut, skin-on fries authentically taste of superb potatoes, and for $8, they should! Crisped to such a perfection, that Gott’s Roadside, the temple of fast food nearby, is seriously challenged. From the hearth emerge smoked, with dripping fat-layered beef RIBS, aged RIBEYE, BUTTERMILK CHICKEN, BLACK COD grilled in corn leaves, even vegetarian plates like FIGS with LOCAL HONEY, CHARRED AVOCADO with rhubarb, ember oil and mayo, buttered CAULIFLOWER with raisins, or EGGPLANT with PEA SHOOTS and TOASTED ALMONDS. Sides like MUSHROOMS, SUNCHOKES and CARROTS are roasted in its throbbing fire, are well oiled to satisfy your cravings. Not all the produce comes from the 2.5 acre Meadowood farm or from California though. The monthly special BBQ WINGS were trucked from Colorado recently. 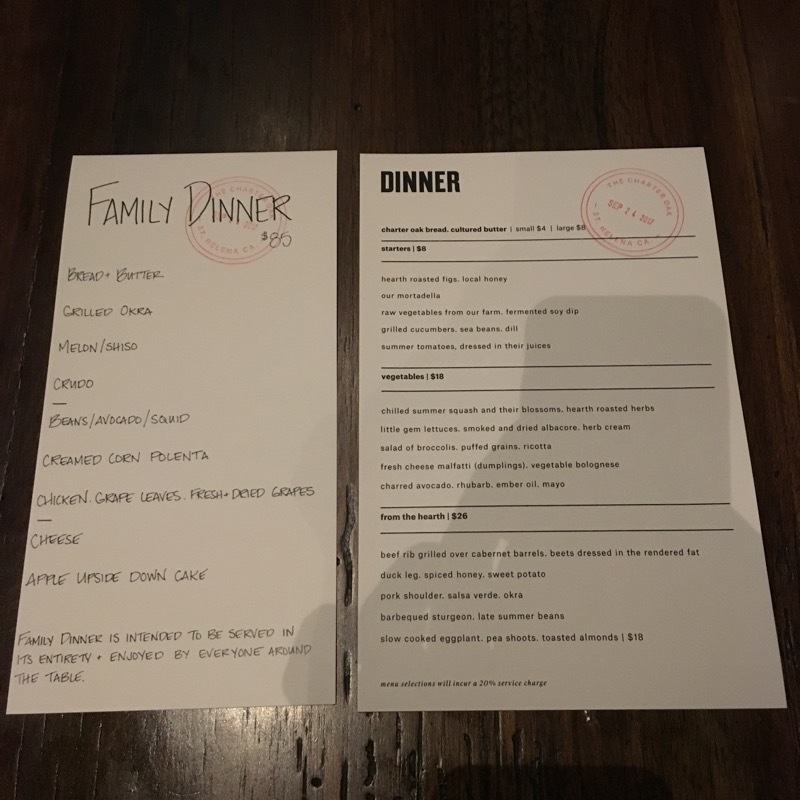 The Family sharing, multi-course dinner is a feast, but good value for the quality, and it differs from the à la carte. 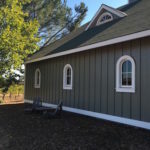 At Charter Oak, their locavore wine list is segmented by growing areas — Howell Mountain, Spring Mountain, Saint Helena, Oakville, and more. 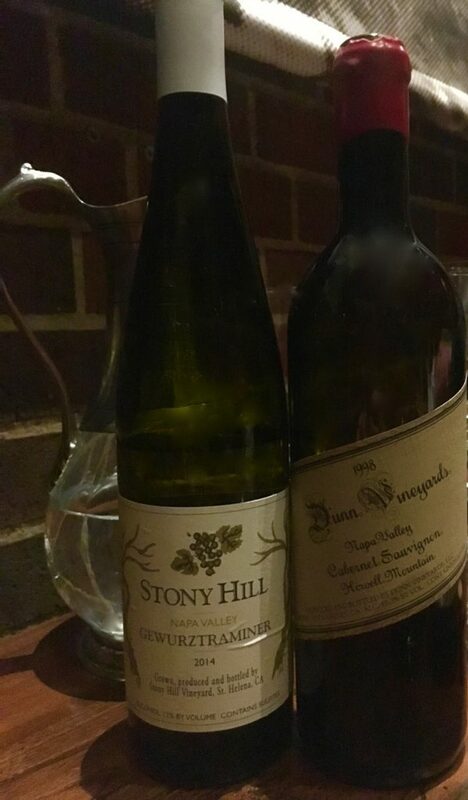 Gewurztraminer from the Stony Hill winery was as fragrant as its Austrian model, while Dunn‘s Cabernet Sauvignon had a modest alcohol level (13.2) and mellowing, supple tannins after two decades of bottle age. The cocktails also cater to large eight-table setups. For $100 each choose from the original punch, gin and lavender, a pitcher of margarita, mezcal and hibiscus,. 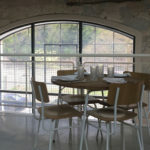 The mulberry shaded courtyard hosts winemakers dinners, so keep an eye on them. Local and imported beer like the decadent, dark, coffee and chocolatey Fuller’s London Porter I ordered on tap suit the hearth wholesome flavours. The dark beer felt as if I ate a loaf of bread, filling up to the top of my head, no growler for me, a small glass was enough. Broadening the choice, cans and bottled beers round the hearty meal. Truly sustainable jars of local tap water are distributed free of charge. A meal at the Charter Oak comes with caveats. 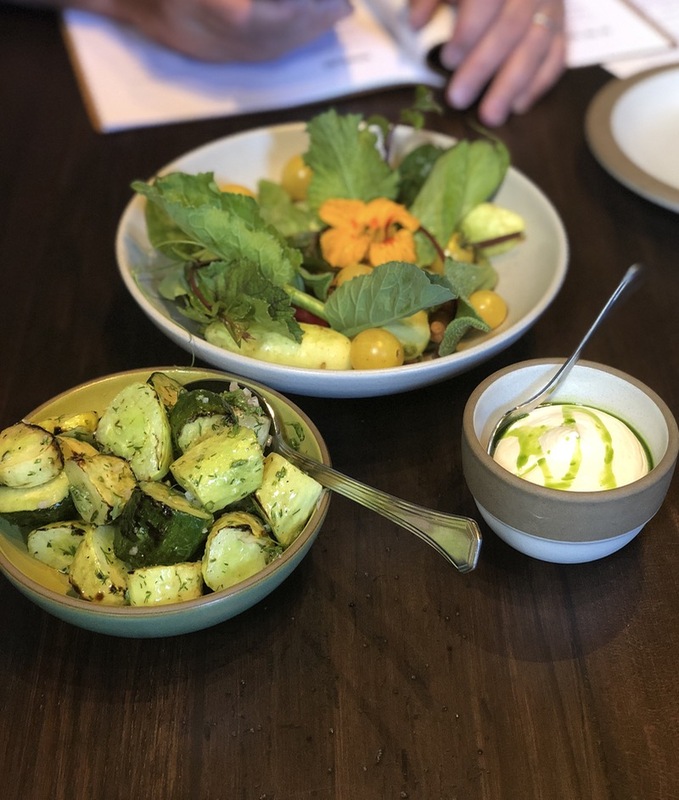 By no means this rustic eatery is cheap, but the land for cultivating in Napa is expensive (with gratitude to the vines), so be generous. 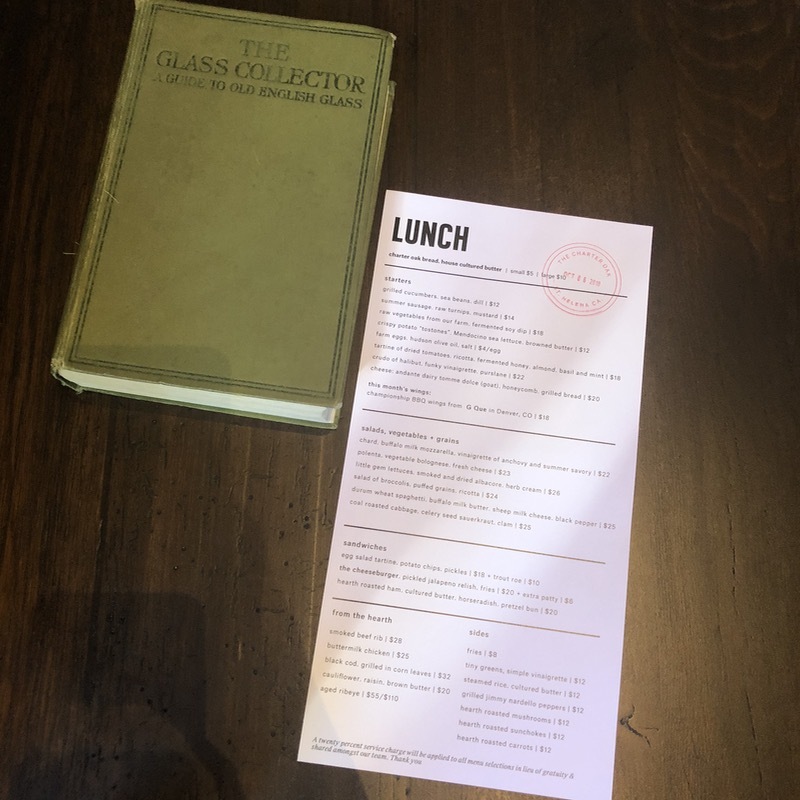 Twenty percent will be added to your bill as an involuntary gratuity that swept the American dining scene recently (following the British model). The enthusiastic, but inefficient service did not deserve such a reward at our meals. Delivering twice cold grilled mushrooms, and lukewarm “coal roasted” cabbage with clams was not worth the generous tip. We will be back, demanding more attention to the prompt delivery of the exquisite produce. Respect.